Looking for the best prices in auto insurance? Sure you can visit one of the many comparison sites out there, but Google wants to make it even easier than that. 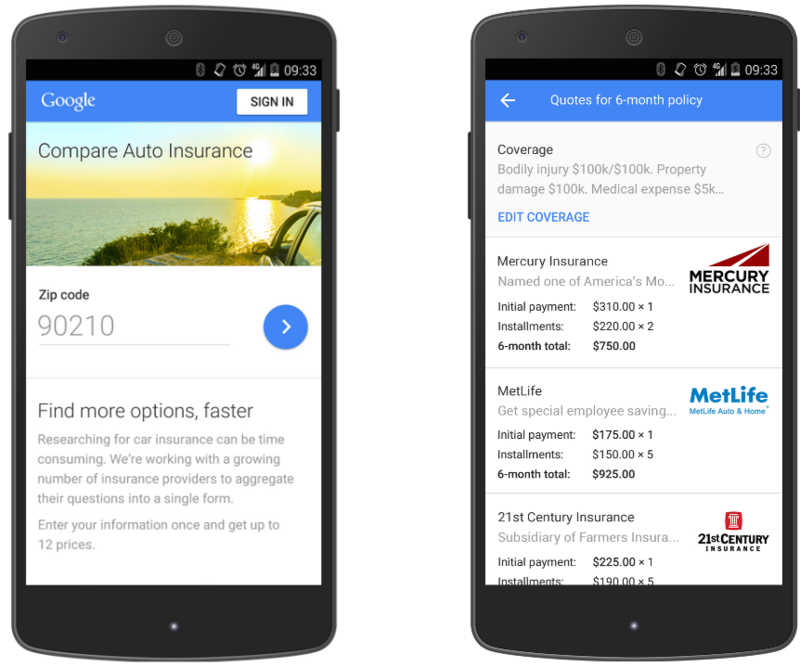 Starting today Google is launching a new feature called “Google Compare for Auto Insurance,” a comparison-shopping site that lets you compare auto insurance rates from several different insurance providers. Initially, the service is being made available to California residents, and should start popping up in Google Search results as soon as you search 'car insurance' (it didn't work yet for us). As of launch time the site only features a handful of insurance providers and unfortunately is currently limited to California but Google says other states will soon follow later this year. For those willing to test out the program you can start here by entering your zip code. This will bring up a questionnaire that requires personal details such as name, DOB, address ect and other information about your vehicle. If they choose to fill that out, Google will return a comparison unit listing insurance premiums, provided by its insurance advertiser partners.Policies can then be purchased online or over the phone through the provided contact information. As Google Compare for car insurance rolls out to more states, they also plan to introduce ratings and reviews, as well as local agent support for providers with agent networks. Currently there are providers listed including: Mercury Insurance, MetLife, 21st Century, General Insurance and about 10 more, though ti looks like most of the major insurance providers (Allstate, State Farm ect) have not yet opted to join. Companies involved aren't required to pay for listings and Google says that payment isn’t a factor in ranking or eligibility, so there should be no bias to 'best pricing'.